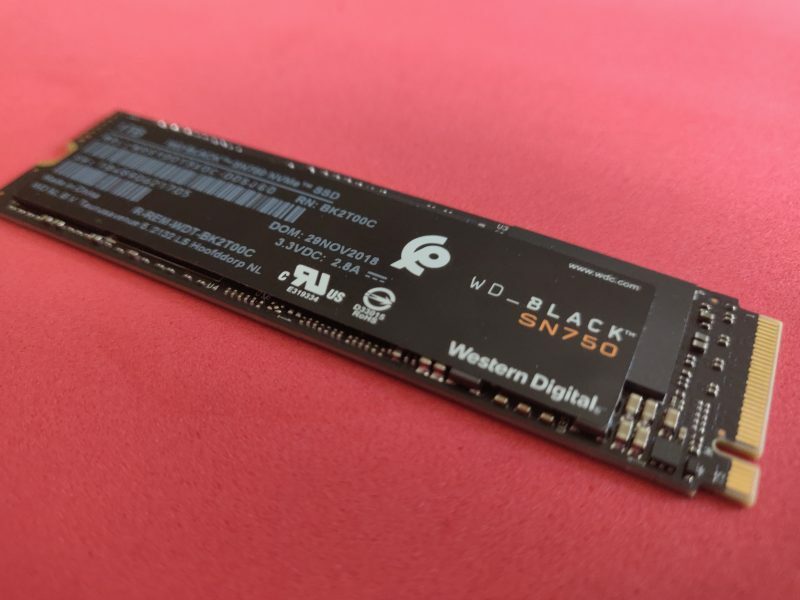 Earlier this year, Western Digital released the second generation of their Black NVMe SSDs with the new SN750. It came with aggressive pricing and even faster speeds, which would differentiate Western Digital from amongst the growing NVMe market. For the last few weeks, we’ve been testing out the WD Black SN750 to see if this small solid state drive does indeed have blazing fast speeds. Depending on what you’re looking for, the SN750 comes in sizes from 250GB to 2TB. We’ve been testing out the 1TB SSD, which you can purchase for $279.99. This brings the price per gigabyte around 27 cents. With Western Digital’s competitive pricing, the cost per gigabyte will range between 25 to 30 cents depending on what size you’ll need. Western Digital will also release the SN750 with an added heatsink, which will drive up the price of the SSD’s by roughly $20 to $30. 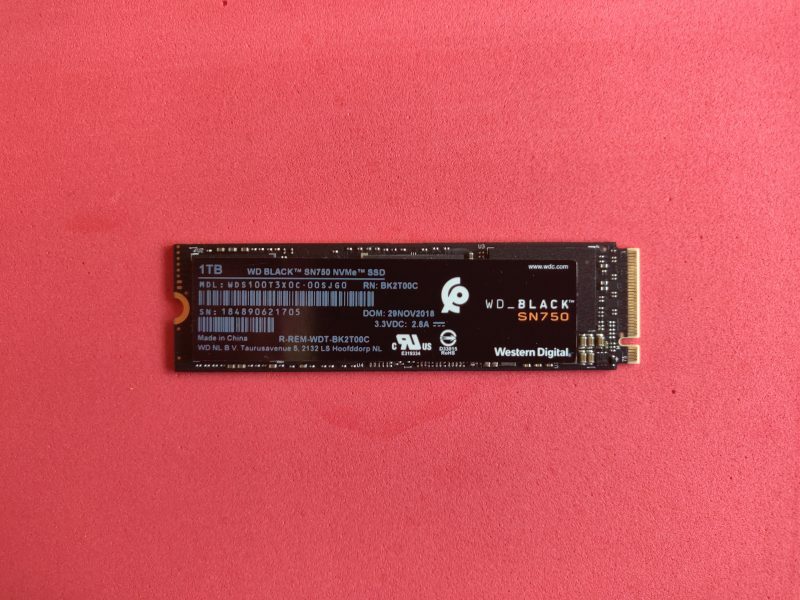 If you’ve never seen or heard of an NVMe drive, then you’ll be surprised when you first see one because these drives are small. The SN750 measures around 8 cm in length, 2 cm in width and is about as thick as a credit card. The drive utilizes the M.2 228 form factor, so if you’re looking to pick up one of these drives, you’ll need a motherboard that can support it. If you don’t have one or don’t want to bother getting a new mobo, there are other options, such as PCIe adapters or hard drive enclosures that will still allow you to use these drives with your current PC build. The 1TB model that we’ve been testing is capable of having sequential read speeds of 3,470 MB/s and write speeds of 3,000 MB/s, and random read speeds of 515K IOPS and write speeds of 560K IOPS. To handle these speeds, the SN750 is engineered with an SLC 64-Layer 3D NAND that handles all of the drives data transfers, while a TLC 3D NAND will be utilized for storage. 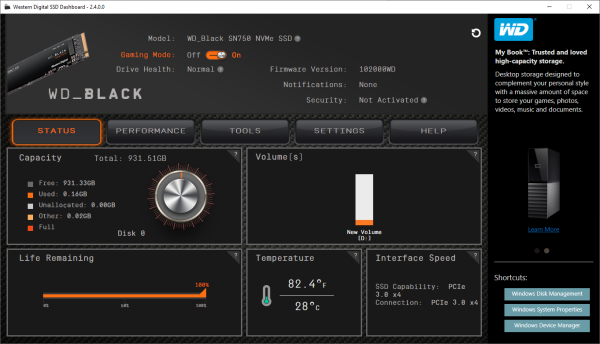 Aside from playing games, the NVMe drive was also perfect to use for video editing. Playing 4K video files was seamless and rarely had any dropped frames. When it came to rendering video footage, the SN750 was able to render in a much faster time than a standard hard drive. One caveat with the new SN750 black was that the drive does get relatively hot. We tested the drive with an aluminum enclosure and within in a few minutes, you can feel that amount of heat that the drive was producing. For a drive with no moving parts, we were a little surprised with the heat that came off, but if you’ve equipped the drive with a good heatsink, you won’t come across any performance issues with the drive. If you’re looking to upgrade your hard drives or build a PC from the bottom up, then the Black SN750 is a drive that should be strongly considered in your next build. For the small and intimidating size, this is a drive that performs exceptionally well with very fast speeds that will help you out with your gaming and or video editing. Coming in around 25 cents per gigabyte, the drives are very affordable that won’t burn a hole in your wallet. The new M.2 form factor can be tricky for those who don’t have a motherboard to support the drive, but with a few searches at your favorite online store, you can easily find a solution that will help you get the most out of the Black SN750 drive. 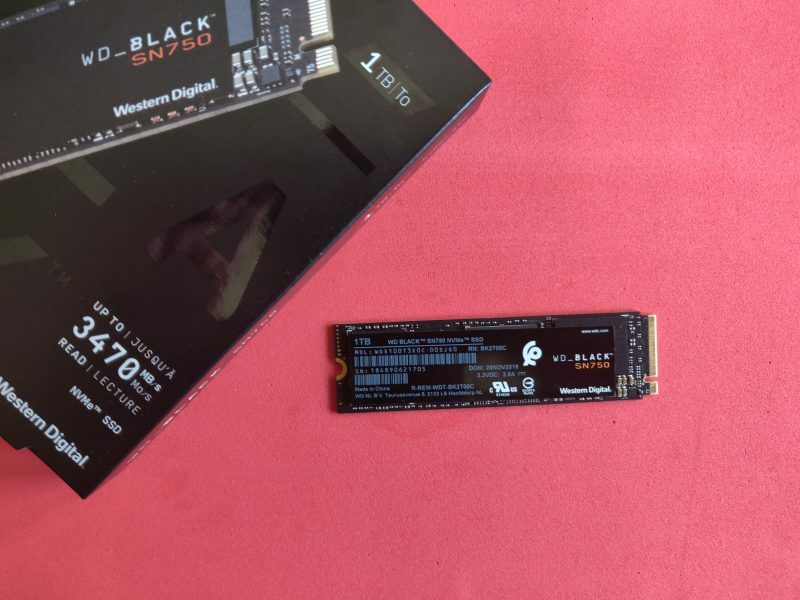 The post Western Digital Black SN750 NVMe SSD review appeared first on Nerd Reactor.